Its formula contains Eucalyptus Oil and Menthol, combining a cleansing and toning action with a refreshing and revitalising effect. Wet your face and apply the Proraso Pre-Shaving Cream. Massage with circular movements and do not rinse. Shave normally with soap or shaving cream. 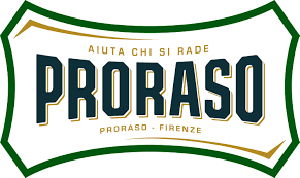 The Proraso labs create products that stand the test of time, defy passing trends and become classics. Over time, our formulas, based on natural and trusted ingredients, are enriched and improved, our packaging is refreshed and new product lines win over new admirers. But the underlying principle remains that was defined by Piero Martelli and later by his son Ludovico: to create professional, quality products that deliver a pleasurable and impeccable shave, in the barbershop and at home. Ingredients: Aqua (Water/Eau), Stearic Acid, Sorbitol, Glycerin, Camphor, Eucalyptus globulus Leaf Oil, Potassium Hydroxide, Menthol, Parfum (Fragrance), Geraniol, Butylphenyl Methylpropional, Coumarin, Cetearyl Alcohol, Eucalyptol, Sodium Benzoate, Phenoxyethanol, Benzyl Alcohol, Disodium EDTA.